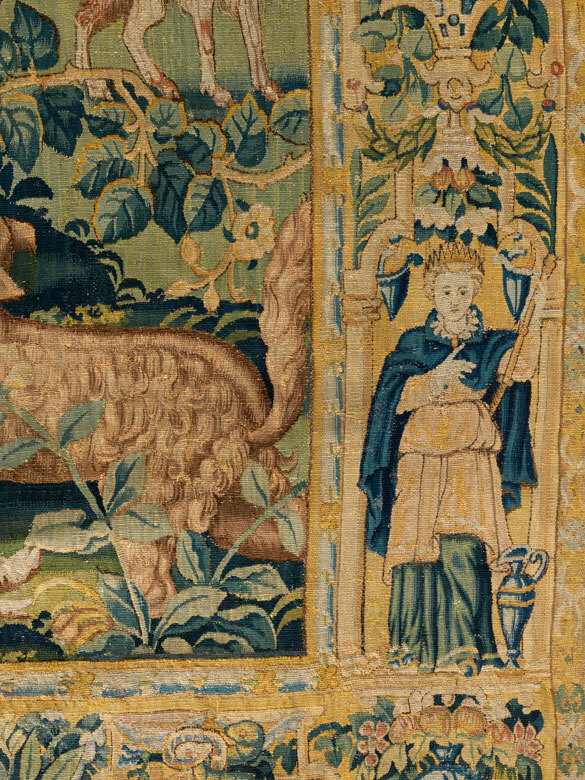 Der Gobelin insgesamt von sehr guter Erhaltung, in Wolle und Seide, fünf Knoten je cm. 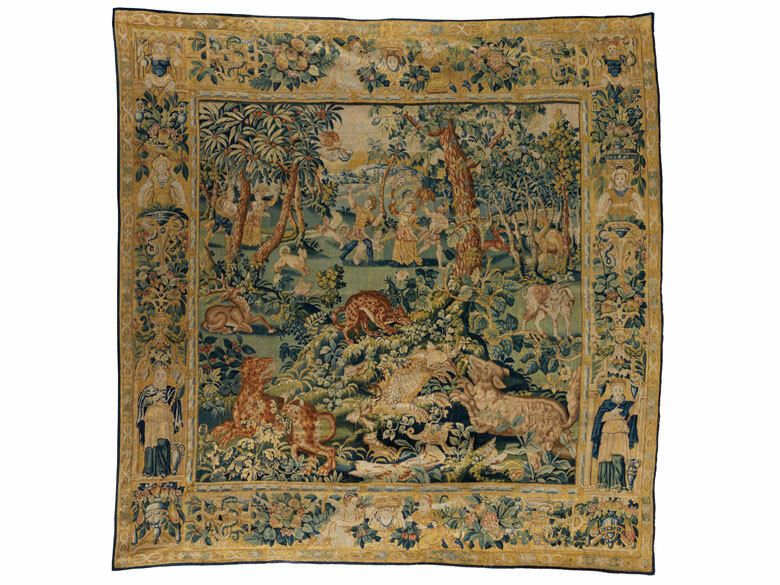 In nahezu quadratischem Format zeigt der Wandteppich eine breite figürlich besetzte Bordüre, die eine paradiesisch anmutende Baumlandschaft mit Tieren und figürlicher Szenerie vorstellt. 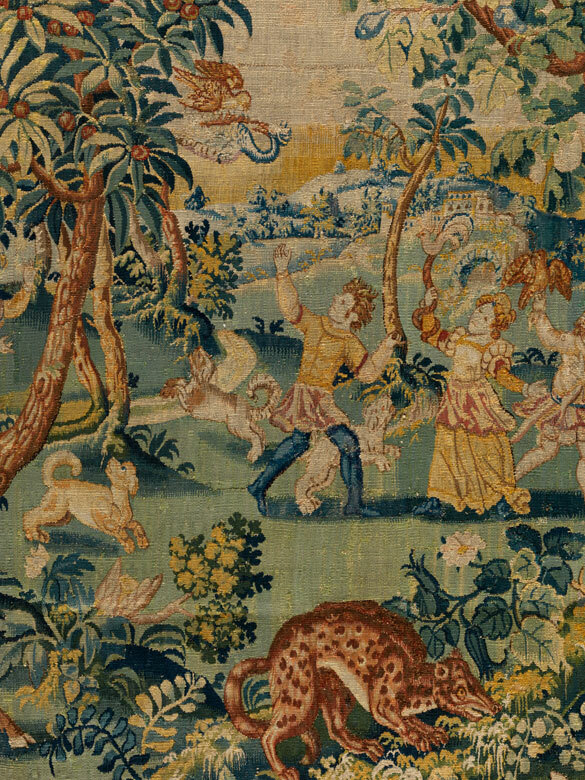 Gobelins ähnlichen Typs wurden in Brüssel in den 1560er und 1570er Jahren geschaffen. 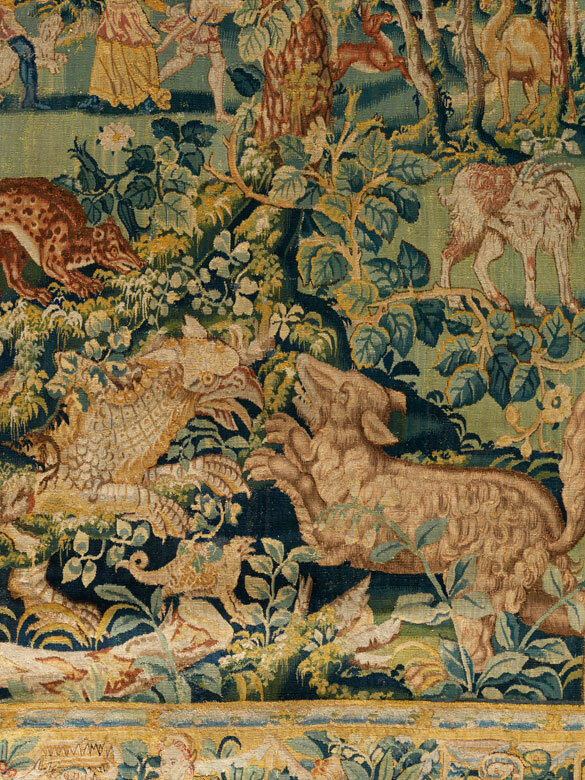 Jacqueline Boccara, Ames de laine et de sole, Saint-Just-en-Chaussée 1988, S. 57 - 85. 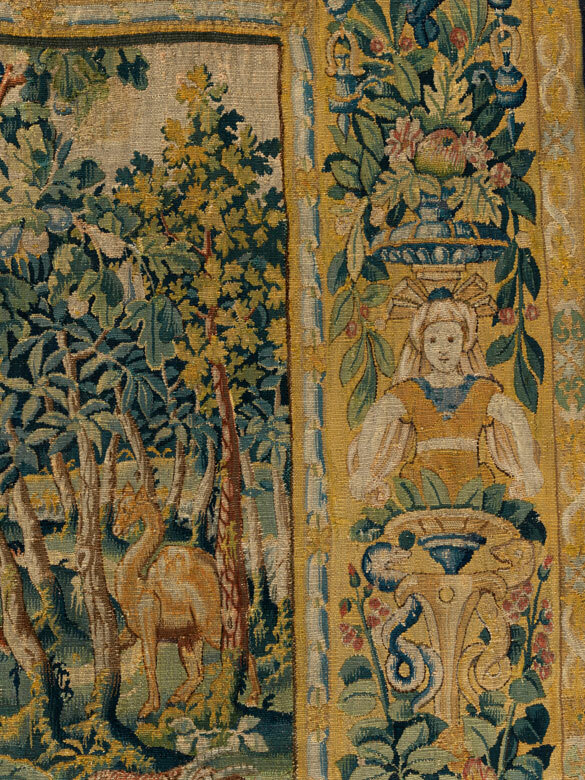 The Gobelin tapestry is in very good overall condition and woven in wool and silk with five warps per centimetre. 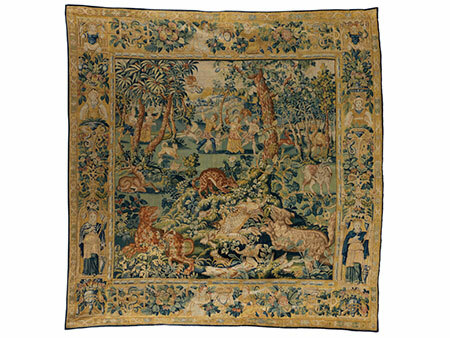 The nearly square tapestry depicts a paradisiacal wooded landscape with animals and a figurative scene in the foreground surrounded by a broad border also with figural decorations. 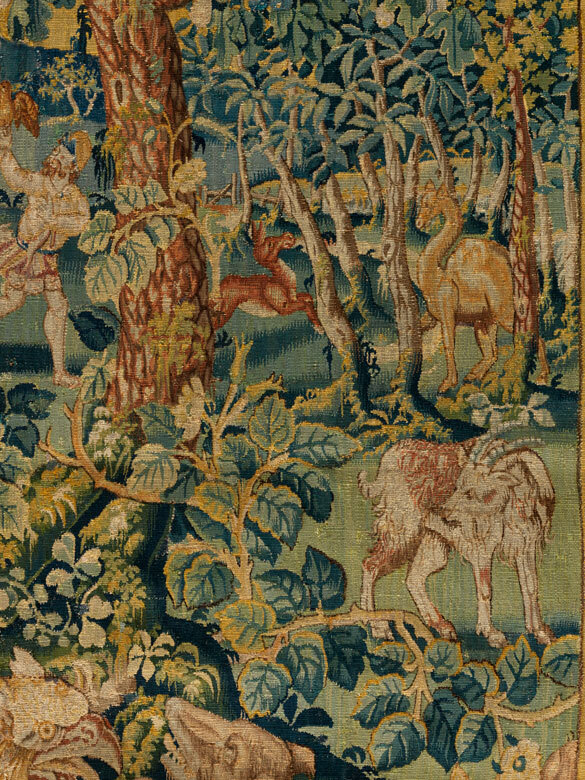 Similar Gobelin tapestries were created in Brussels during the 1560s and 1570s. J. Boccara, Ames de Laine et de Soie, Saint-Just-en-Chaussée 1988, pp. 57 - 85. 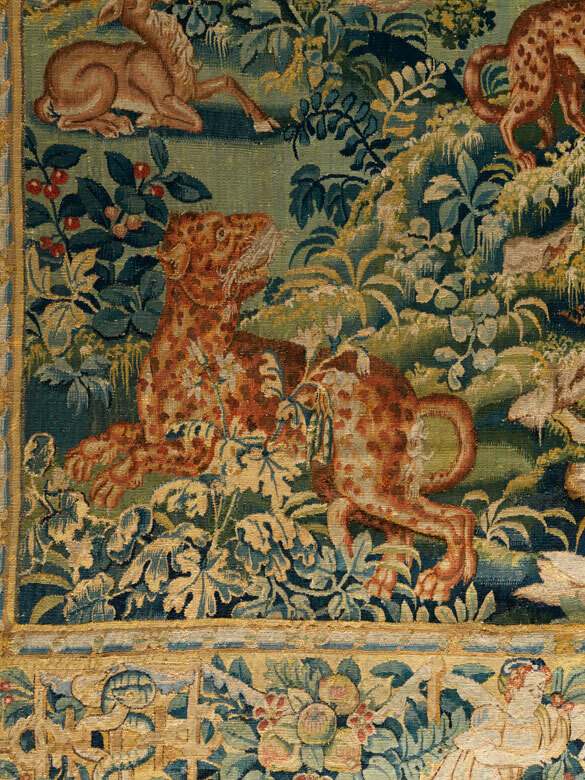 A. G. Bennett, Five Centuries of Tapestry from the Fine Arts Museum of San Francisco, San Francisco 1990, p. 128, p. 130, pp. 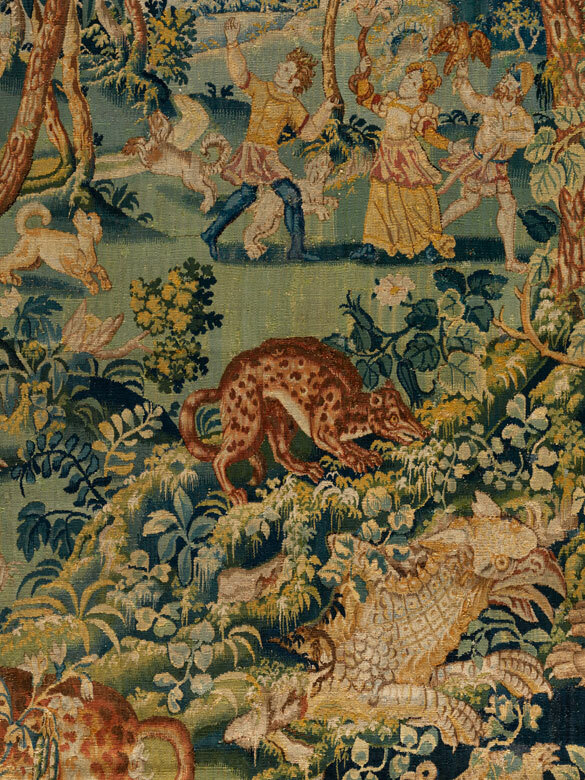 149 - 151.